I received some wonderful traits from my Dad, his amazing sense of direction wasn't one of them. To this day, ever time I take the Metro downtown I have alarm bells going off in my head saying that I'm heading the wrong direction, even though I'm clearly on the right train. On many matters I'll trust my gut, which way to turn isn't one of them. To overcome this, I've gotten in the habit of carrying a compass on my keychain. And sure enough, I use it quite a bit; both on the trail as well as when I'm navigating in the city. Technically my phone should be able to tackle this job, but I've found that an analog compass is often quicker to use and more reliable. And best of all, it doesn't have batteries and operates in countries where I don't have a cell phone plan. Even though I like carrying a compass, I'd yet find one that was truly ideal. To be fair, a compass is a delicate instrument, and I'm essentially looking for a tiny one I can cram into my pocket and kick around all day. Have you ever walked out of a subway station in the steel-and-glass canyon of a new city, map in hand, and wondered which way to go? 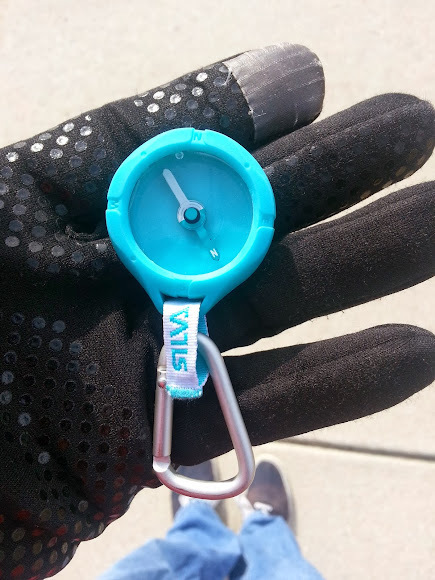 That won't happen when you're carrying Silva's new Metro compass.The cool, ultra-compact design of Silva Metro marries mobility with ease-of-use for quick orientation in the fast-moving urban environment. For reasons that escape me, this particular compass isn't available in the US. That means that while it's only an eBay purchase away, I probably paid more for shipping than I did for the actual product. 1. This guy is bigger than I expected. As you can see, it's noticeably larger than my previous button compass. Operationally, this is a good thing as its easier to read. 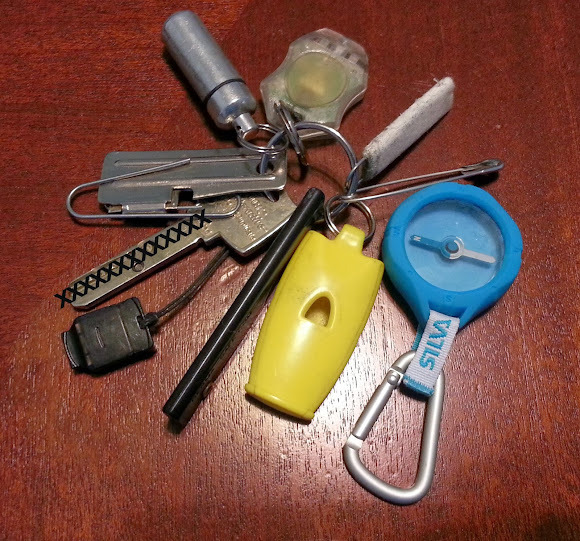 However, from a keychain carry perspective it's almost at the practical limit of what I'm willing to cram in my pocket. See what I mean? 2. The build quality is solid. The rubber housing and carabiner look like they may actually hold up to life in my pocket. There's a 5 year warranty on the compass, so who knows, maybe this one will have staying power? 3. Holy smokes, that directional needle is fast and consistent! I've found that button compasses are often quite slow to come around to pointing North. Sure, it will get there, but often with me tapping on the case. Not so with this guy. It dang near snaps to North. This is what I'd expect from a "real" compass. 4. The carabiner looks like it's going to be a practical feature. 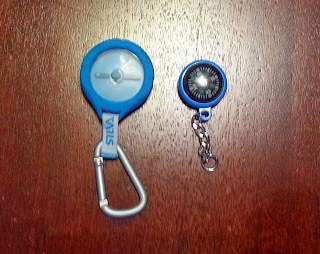 For times when I need to refer to the compass more often (say I'm on a day hike), I like that I can trivially un-clip the compass from my keychain and attach it to a belt loop. Bottom one, it's bigger and pricier than some options, but it does the direction thing really well. Assuming it can keep up this performance, I think it will maintain a slot on my keychain.